In honor of two of his favorite things — Black History Month and Star Trek — comedian and TV host Wayne Brady performed a Klingon rap song on Wednesday on TV’s The Late Late Show. Brady, who has been guest-hosting the CBS late-night talk show all this week, was inspired to do the rap — which actually includes lines in Klingon, the fictional Star Trek language — by that evening’s guest, Mr. William Shatner, aka the original James Tiberius Kirk. 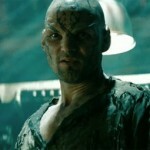 Check out the “Klingon Rap” video here below. If you’re a fan of ThinkGeek products, then you know April 1st is the day to watch the site as they roll out their annual limited-time-only, hard-to-get (or actually, impossible to get!) products. 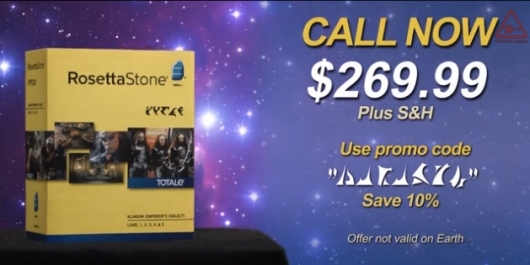 This year, the spotlight product of the day is one we’ve all been waiting for — Rosetta Stone® – Learn to Speak Klingon! That’s right – the popular language learning system has teamed up with ThinkGeek and Nerdist to create this eagerly anticipated item and even got the endorsement of everyone’s favorite Klingon – Michael Dorn, who played Worf on Star Trek: The Next Generation and Star Trek: Deep Space Nine. You can check out the video here below of Dorn hawking the new product. Today is a good day to resign in Klingon – if you’re North Carolina Councilman David Waddell, who submitted his letter of resignation in the fictional Star Trek language, stepping down from his position on the Indian Trail Town Council. Waddell’s resignation was not only written in Klingon, but it also captured the true spirit of the warrior race, promising the Councilman’s eventual and victorious return. Teach (the) city (the) constitution. I will return next time to witness victory. Resignation occurs in 2014 the 31st of January. Perhaps today is a good day (to) resign. 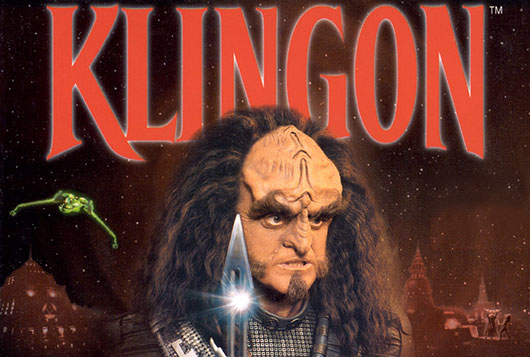 ‘Star Trek’: A Klingon Christmas Carol Begins Soon! If you live in the Chicago area, there is a very cool event going on starting on November 29th, 2013. For the fourth year, the Raven Theater in Chicago is presenting A Klingon Christmas Carol, a version of Charles Dickens’ Christmas classic A Christmas Carol in the Original Klingon with English subtitles. 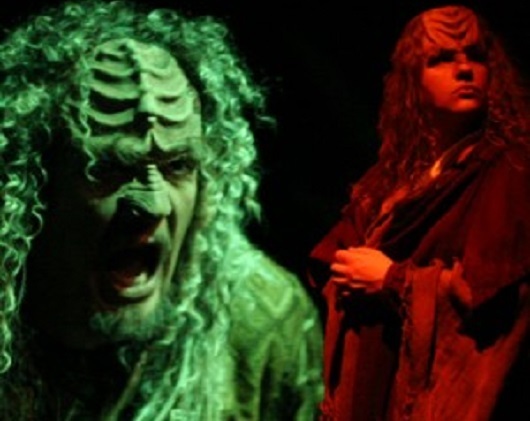 The play is a co-production of Commedia Beauregard and the IKV Spirit of Honor of the Klingon Assault Group, and runs through the month of December. Tickets can by bought here. 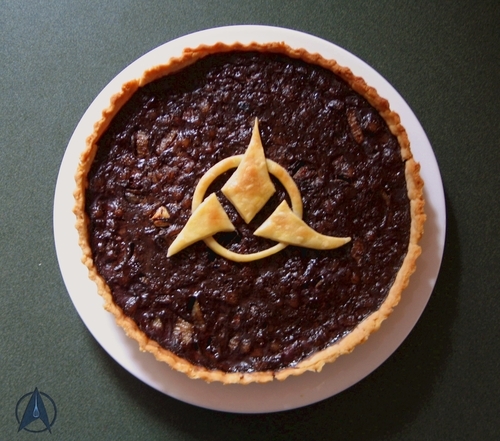 If you ever get a hankering for some Rokeg blood pie, the popular Klingon pastry seen in the Star Trek universe traditionally served on the Day of Honor holiday, the folks over at Food Replicator have figured out how to make one of your own. The recipe is actually made with blood (pig’s blood to be exact), so I won’t be making this or tasting it ever (I’m veg), but I do love the Klingon insignia on top. The photo at top is the “pie” version, but they’ve also made it to look like it does in The Next Generation (in episode “A Matter of Honor”), though both versions have the same filling. If you want to learn a little more about Klingon dining, check out Star Trek: How to Speak Klingon: Essential Phrases for the Intergalactic Traveler, which has a section on what to do when you’re at a restaurant with a Klingon (don’t undertip, that’s for sure!). Later this month, the theater group Commedia Beauregard will once again be performing A Klingon Christmas Carol, a full-length play based on the classic Charles Dickens tale A Christmas Carol, but with an interesting twist. This is the fourth year in a row that the group will be staging the play in tlhIngan Hol, the Klingon language heard in the Star Trek television series and films. Tickets are on sale now through cbtheatre.org for two locations: Saint Paul, MN and Chicago, IL. Want To Turn Your House Into The USS Enterprise? Massive ‘Star Trek’ Yard Sale Is For You! So you’re a Trekkie, eh? These are the days that you dream of. 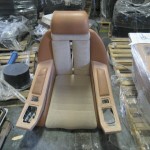 A company in Las Vegas called Propworx is preparing to sell around a thousand different items from Star Trek: The Experience, which ran for ten years and shut down in 2008. The many items will apparently be sold via auction and in a giant warehouse (okay, so it’s not really a yard sale, but close enough) tomorrow. The attraction featured many replications and props from the Trek universe, and also featured some popular rides. These rides included an encounter with the Klingons and even a 4D Borg attack. Those clever folks over at Google have done it again! Did you know that you could search Google in Klingon? 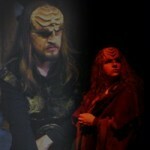 Now you can find out for yourself if Shakespeare is truly better in the original Klingon. Don’t know Klingon? Then learn Klingon now.